Dr. Shawn Roberts has special interests in the areas of surgical management of cancer, vascular surgery, and advanced laparoscopy. He is a reflux specialist with the Minnesota Reflux and Heartburn Center at Riverwood Healthcare Center in Aitkin and Cuyuna Regional Medical Center in Crosby. While attending Concordia College at Moorhead, Dr. Roberts was recognized with several honors including the Alworth and Faculty Scholar academic awards. He attended the University of Minnesota Medical School and completed his surgical internship and residency at Hennepin County Medical Center. 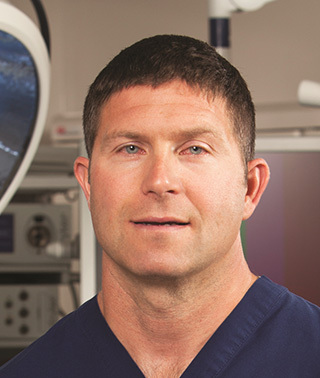 Dr. Roberts completed a Critical Care Fellowship at Hennepin County Medical Center in 2002. He completed his Minimally Invasive Surgery Fellowship at the Minnesota Institute for Minimally Invasive Surgery (MIMIS). Dr. Roberts is board-certified by the American College of Surgeons. Dr. Roberts joined the Riverwood medical campus in Aitkin in 2004.